The following Terms and Conditions have been prepared to help you make the most of StripTweeze Limited’s services. “Salons” means any of nkd ( )’s salons as published on the Website from time to time. “Client” refers to any person that books a treatment within our Salons. “Cancellation Window” is the time period during which an appointment can be cancelled without penalty. “Terms” means the terms and conditions as stated on this page. References in these Terms and Conditions in the singular will include the plural and vice versa. References in the feminine gender will include the masculine gender and vice versa. 1.3 These Terms and Conditions are incorporated into the booking process and any Client is subject to these Terms and Conditions as amended from time to time. By accessing and using this Website, and by booking a Treatment, electronically or otherwise, you accept and agree to be bound by and comply with our Terms and Conditions. If you do not accept the Terms, you should not use the Website or book any Treatments. 1.4 The Company reserves the right to vary and revoke these Terms and Conditions from time to time when considered necessary or desirable for the regulation of the internal affairs of the Salons and/or the conduct of Clients. Any such changes will be published on the Website and, until revoked, are binding on Clients. We suggest that you regularly read our Terms & Conditions to keep up with any changes that are made. 2.1 All Treatments must be paid for in advance, at the time of booking. 2.2 Acceptance of a person as a Client is at the discretion of the Company. 2.3 The Company reserves the right to refuse entry or expel Clients from our Salons should their conduct be deemed unfit or should they be deemed to be in breach of the Terms. In such instances, the Company will not refund the Client. 2.4 Treatments will not be provided to under 16s until the minor’s parent or legal guardian visits the Salons in person along with the minor in question and gives their express written permission for the treatment to be carried out. 2.5 No form of intimate waxing (Brazilian or Hollywood wax) shall be carried out to any Client under the age of 16, even with parental/legal guardian consent. 2.6 Details of treatment prices are available at our Salons or on the Website and shall be such prices as determined by nkd ( ) from time to time. 2.7 Payment for individual treatments or packages of treatments can be made in our Salons, over the telephone, online via the Website and via our App using credit and debit cards. 2.8 All credit and debit cards are processed in British Sterling (GBP) at the time of payment. nkd ( ) is not responsible for any fees, charges, exchange rates or additional charges levied by the individual financial institutions or credit card companies. 3.1.1 A minimum of 24 hours’ notice is required to cancel a Treatment, unless a Treatment is booked with less than 24 hours to go in which case they shall be non-cancellable. 3.1.2 Cancellations must be made online, by phone or via email to the info@nkdwaxing.com email address only. The Company does not accept any other form of cancellation, including those made on social media or by text message. 3.1.3 Treatments cancelled with 24 hours’ notice or more will be refunded in full. 3.1.3 Treatments cancelled outside of the Cancellation Window will be treated as a “no show” and will be charged in full as if attended. 3.1.4 Client “no shows” will be charged in full as if attended. 3.2 The Company cannot be held responsible for a particular Treatment, or piece of equipment becoming unavailable. If a therapist becomes unavailable we will ensure – where practically possible – that they are replaced by another therapist. Where this is not possible, or where a session is cancelled due to unforeseen circumstances, we will issue a refund to those Clients whose Treatments were affected. The Company will not be liable for any other incurred costs or damages to the Client from a cancellation. 3.3 The Company reserves the right to make alterations to its Treatments, therapist availability and/or equipment, as well as those ancillary facilities provided to Clients, without notice in its absolute discretion and will not be liable for any loss occasioned by such alterations, insofar as such loss is by law capable of exclusion. 3.4 Subject to any statutory rights of cancellation, payments for Treatments, gift certificates and courses and packages are non-refundable and non-transferable unless otherwise stated in these Terms and Conditions. Refunds, if any, shall be made at the Company’s discretion. 4.1 New Clients are asked to arrive at least 10 minutes prior to the start of their Treatment. 4.2 Existing Clients are asked to arrive 5 minutes prior to the start of their Treatment. 4.3 The Company reserves the right to refuse to carry out a Treatment to any Client arriving after the scheduled start of their Treatment and to charge the full price of the Treatment as if carried out. 5.1 The Company advises Clients not to book in for a Treatment without first seeking medical advice if they have any concerns at all about the suitability of their skin or any other physical condition for the Treatment. 5.2 The Company reserves the right to refuse to carry out Treatments to any Client if it in any way doubts the suitability of their skin or other physical conditions and therefore the Client’s ability to safely receive Treatments. 5.3 When booking a Treatment, Clients agree they understand that all beauty treatments carry a risk of adverse reaction. In the absence of any negligence or other breach of duty by StripTweeze Limited, the Client agrees at the point of booking that the undertaking of the Treatment is entirely at their own risk. 5.4. Without prejudice to clause 5.3, it is the Client’s responsibility to ensure that their physical condition is appropriate for receiving the Company’s Treatments. 5.5 New Clients will be asked to fill out a Consultation Card prior to their first Treatment, so the Company is better informed of the Client’s suitability for a Treatment. In doing so, the Client will be confirming that the information they supply to the Company will be true to the best of their knowledge, information and belief. 5.6 It is the Client’s duty to keep the Company informed of any subsequent changes to their medical conditions or suitability of their skin for a Treatment once the initial pre-Treatment Consultation Card has been filled out so that the Company can continue to treat the Client in the most effective manner. 6.1 Personal belongings brought to the Salons are brought at the Client’s own risk. The safety and security of possessions and personal belongings are not the responsibility of the Company. We do not accept liability for loss or damage of person possessions except in so far as such loss or damage is by law incapable of exclusion. 6.2 Where loss or damage to personal belongings and/or their contents brought into the Company’s Salons is caused by the negligence of the Company or its employees, agents or sub-contractors, the Company’s liability for this and generally under these Terms and Conditions shall be limited to £500 for any one incident. Clients hereby agree and acknowledge that the rates charged by StripTweeze Ltd reflect that the Company has limited its liability in line with this clause 6.2 and therefore it is fair and reasonable that the Company’s liability to be limited in this way. 6.3. In the event of a fire, Clients are asked to make their way to the nearest available exit. 6.4. Smoking is not allowed in any Salon. 7.1. Clients must at all times observe the Company’s guidelines which may be notified to them from time to time and are requested to comply with any reasonable directions which the management of a Salon may issue to ensure the safety of the Clients and the smooth operation of that Salon for the convenience of all Clients. 7.2. Clients consent to having their photograph taken by the Company at any time whilst inside our Salons and the Company reserves the right to use any such individual or group photographs of Clients for press or promotional purposes. If a Client specifically does not want their photograph used for such purposes then they must notify StripTweeze Ltd in writing. 7.3. Clients are required to give written notice to the Company of any change of address, email or contact telephone number. Failing such notice, all communications will be assumed to have been received by the Client. 7.4. The Company may communicate with a Client by email. By providing an email address to StripTweeze Ltd a Client consents to receiving email communications from the Company, including notices pursuant to these Terms and Conditions. The Client also accepts the risk that email may not be a secure and confidential means of communication. The Company will not be liable for any loss or damage suffered as a result of communicating with a Client by email. 7.5. The Company reserves the right to refuse admission to its Salons. 7.6. Any marketing, educational or other materials of this nature whatsoever produced by StripTweeze Ltd in conjunction with a Salon and which are made available to Clients at the Salon will at all times remain the property of StripTweeze Ltd and subject to the Company’s copyright and all associated intellectual property rights. 7.7. If StripTweeze Ltd chooses to waive any breach of these Terms and Conditions it will not stop the Company from enforcing these Terms and Conditions strictly at a later date. 7.8. Clients agree not to engage in negative comments, libel or slander regarding the Company including but not limited to publishing, or causing to be published, complaints or derogatory comments about StripTweeze Ltd in any format including, but not limited to, print, newspaper, television, radio, social media or on internet complaint sites, blogs or other public internet forums. 7.9. If in any particular case any provision of these Terms and Conditions shall be held to be invalid or as not applying, the other provisions of these Terms and Conditions shall continue in full force and effect and the Company shall be entitled to amend the relevant provision to the extent required to make it valid and enforceable. 8.2 The information we may collect includes but is not limited to your name, email address, telephone number, postal address and use of the Company’s services. Promotional emails, which we may send periodically to keep you updated about new products, special offers or other information which we think you may find relevant or interesting. 9.1 The Company is committed to ensuring that your information is secure. In order to prevent unauthorised access or disclosure we have put in place suitable physical, electronic and managerial procedures to safeguard and secure the information we collect online. 10.1 A cookie is a small file which asks permission to be placed on your computer’s hard drive. Once you agree, the file is added and the cookie helps analyse web traffic or lets you know when you visit a particular site. Cookies allow web applications to respond to you as an individual. The web application can tailor its operations to your needs, likes and dislikes by gathering and remembering information about your preferences. This Website uses traffic log cookies to identify which pages are being used. This helps the Company analyse data about web page traffic and improve the Website in order to tailor it to client needs. The Company only uses this information for statistical analysis purposes. Overall, cookies help us provide you with a better Website, by enabling us to monitor which pages you find useful and which you do not. A cookie in no way gives us access to your computer or any information about you, other than the data you choose to share with us. You can choose to accept or decline cookies. Most web browsers automatically accept cookies, but you can usually modify your browser setting to decline cookies if you prefer. This may prevent you from taking full advantage of the website. 11.1 The Website may contain links to enable you to visit other websites of interest easily. Once you have used these links to leave our site, the Company does not have any control over other websites. Therefore, we cannot be responsible for the protection and privacy of any information which you provide whilst visiting such sites and such sites are not governed by this privacy statement. You should exercise caution and look at the privacy statement applicable to the website in question. 12.2 Whenever you are asked to fill in a form on the website, look for the box that you can click to indicate that you do not want the information to be used by anybody for direct marketing purposes. If you have previously agreed to us using your personal information for direct marketing purposes, you may change your mind at any time by writing to or emailing us at rebecca@nkdwaxing.com. 12.3 The Company will not sell, distribute or lease your personal information to third parties unless we have your permission or are required by law to do so. We may use your personal information to send you promotional information about third parties which we think you may find interesting if you tell us that you wish this to happen. You may request details of personal information which we hold about you under the Data Protection Act 1998. A small fee will be payable. 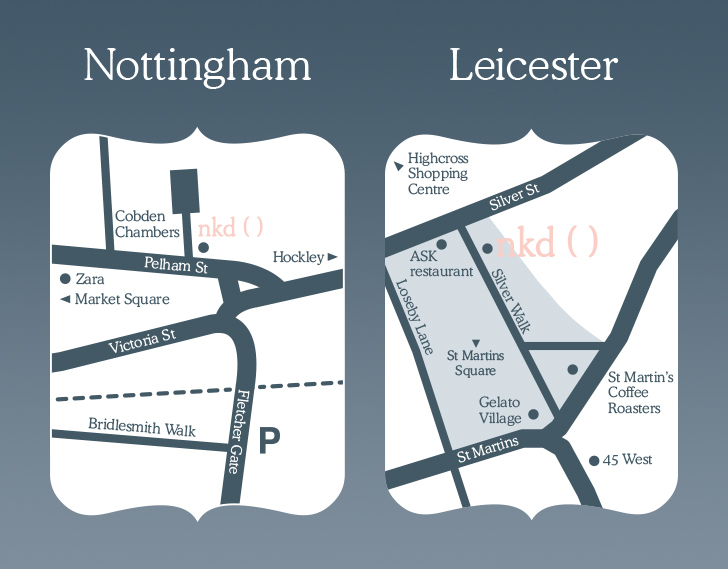 If you would like a copy of the information held on you please e-mail rebecca@nkdwaxing.com. If you believe that any information we are holding on you is incorrect or incomplete, please write to or email us as soon as possible, at the above address. We will promptly correct any information found to be incorrect. 13.1 The Website has been designed to be accessible to as many people as possible. If you have difficulty using the Website please let us know and we will do our best to rectify this in future maintenance and development. 13.2 All pages on this site comply with all priority 1, and 2 guidelines of the W3C Web Content Accessibility Guidelines. 13.3 All pages on this site validate as XHTML 1.0 Transitional. 13.4 The Website is built using structured semantic markup. H2 tags are used for main titles to aid users of screen reading software. 14.1 StripTweeze Ltd is incorporated in England and Wales and the company registration number is 6947824. 14.2 StripTweeze Ltd is registered at 27 Pelham Street, Nottingham, NG1 2ED. 14.3. StripTweeze Ltd trades under the name of nkd ( ) waxing. 14.5. StripTweeze Ltd is VAT registered and the VAT registration number is 981 4064 14.